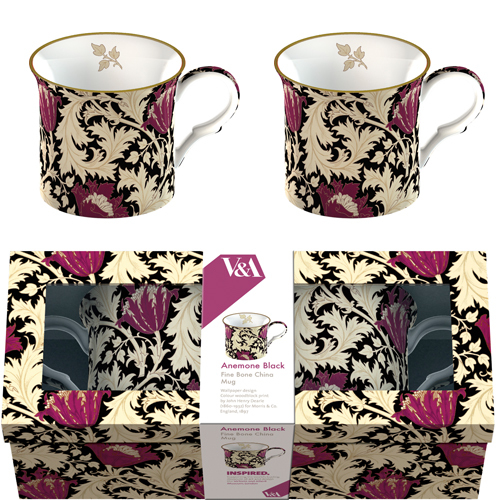 This elegant gift set includes two fine bone china palace mugs with gold edging available in beautiful gift box and features illustrations adapted from wallpaper designs produced by William Morris & Co. This particular pattern is part of a collection composed of ten historical enduring patterns, which remain as fresh today as they were at the turn of the century. A stunning gift to be cherished forever.